EXCLUSIVE! 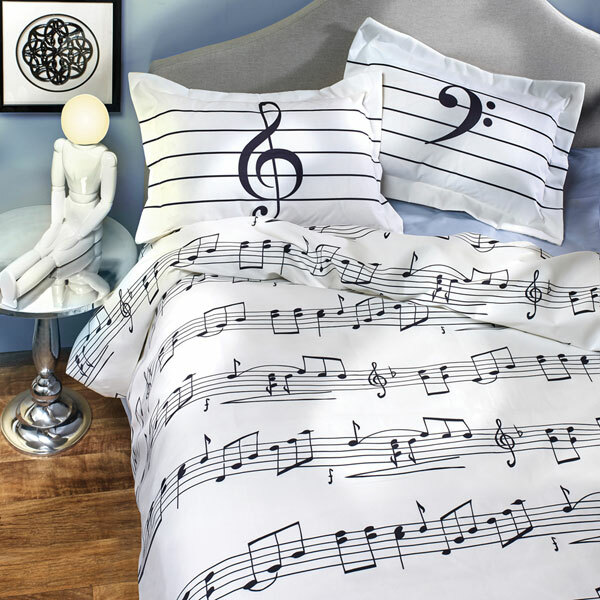 Sleep soundly, and may all your dreams be tuneful. Duvet cover (HX0622) is printed with music in black on white. Shams (HX3022) feature the treble clef and bass clef symbols. Full/Queen cover is 88" x 88". Shams are 30" x 20". Spun polyester. Machine wash. Made in USA. Each sold separately.